But first – Hellooo, DIY friends! 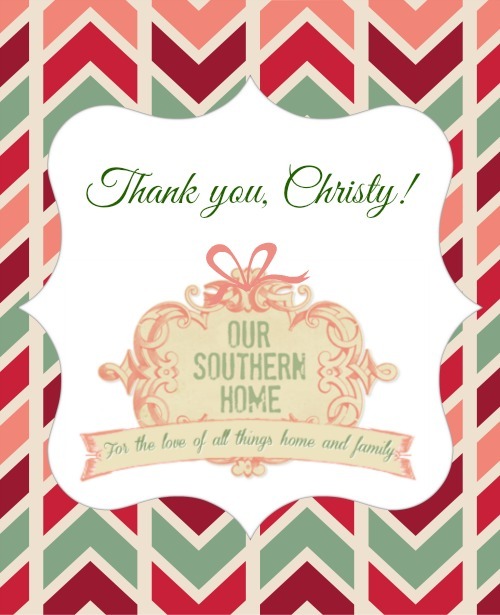 I have the pleasure of participating in a fun secret Santa blog hop organized by my sweet friend, Dria at DIO Home Improvements. Dria is a hard working, generous and talented blog friend with a big heart. 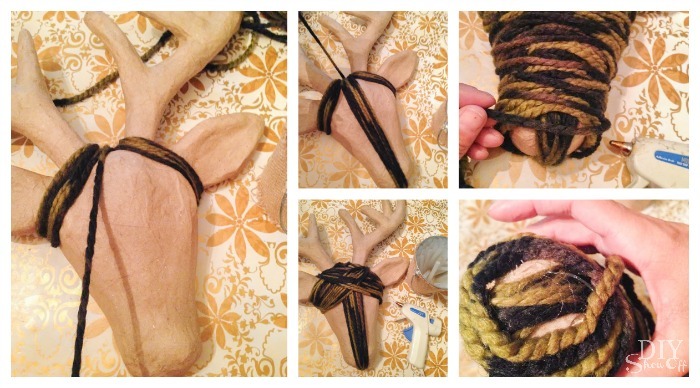 A yarn-wrapped paper maché reindeer head. Isn’t he cute? 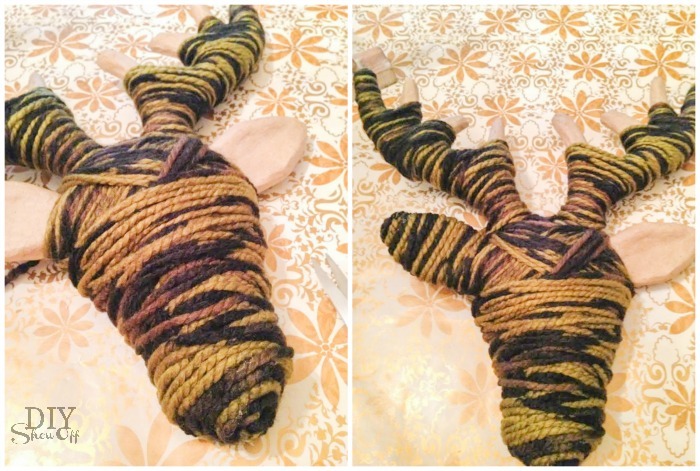 I loved the earthy tones in the super soft acrylic/wool blend yarn. I think he’ll be a great holiday decorative accent in her beautiful home. Tutorial: It’s pretty self-explanatory. 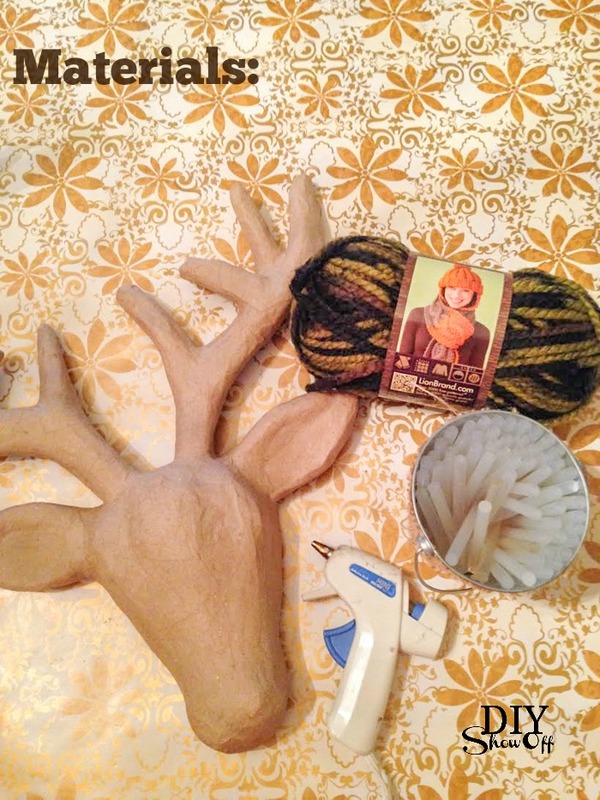 I started with wrapping the reindeer face, securing where needed with hot glue. The curved areas are a little tricky! Then moved on to the antlers and ears, wrapping a large vertical portion then coming back and doing smaller areas. I hot glued any loose ends, adjusting yarn to cover paper maché where needed. And voila! Then I simply added a gift tag, tucked in a few Yankee Candle pine scented ornaments, packed him up and shipped special delivery. Giving is the best part of a secret Santa gift exchange, isn’t it? Getting a gift in return is icing on the cake and boy oh boy does my secret Santa know how to create, if you know what I mean. 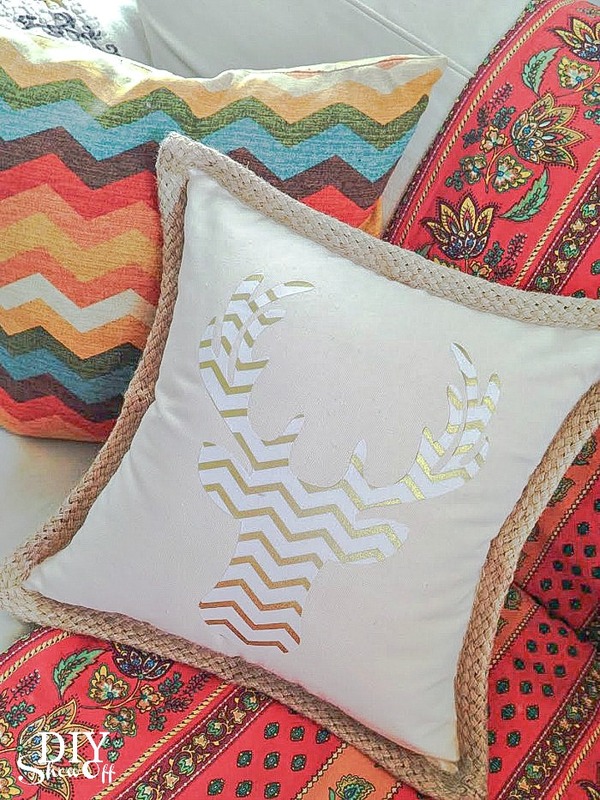 Along the same reindeer theme, Christy from Our Southern Home whipped up this beautiful chevron reindeer accent pillow. Just for me, you guys! Metallic gold chevron. Reindeer silhouette. I love it! Follow the entire Secret Santa blog tour for some DIY gift inspiration. 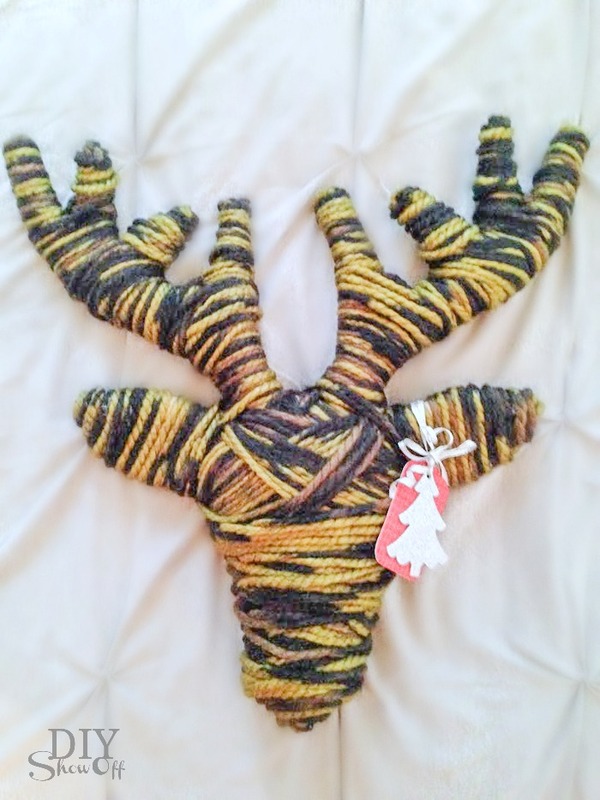 This entry was posted in Christmas, Crafts, Gifts, Holidays/Seasonal, home decor and tagged blog tour, Christmas, Crafts, decor, DIY, gift ideas, gifts, holiday gift giving, reindeer, secret Santa, Tutorial by Roeshel. Bookmark the permalink. 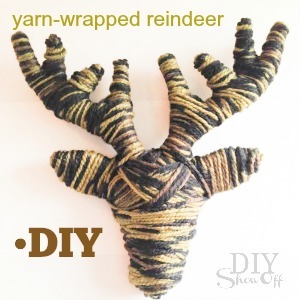 Love the yarn wrapped reindeer! So cute and clever. The pillow you received is gorgeous too! Such a great idea Roeshel and so stink’n cute! 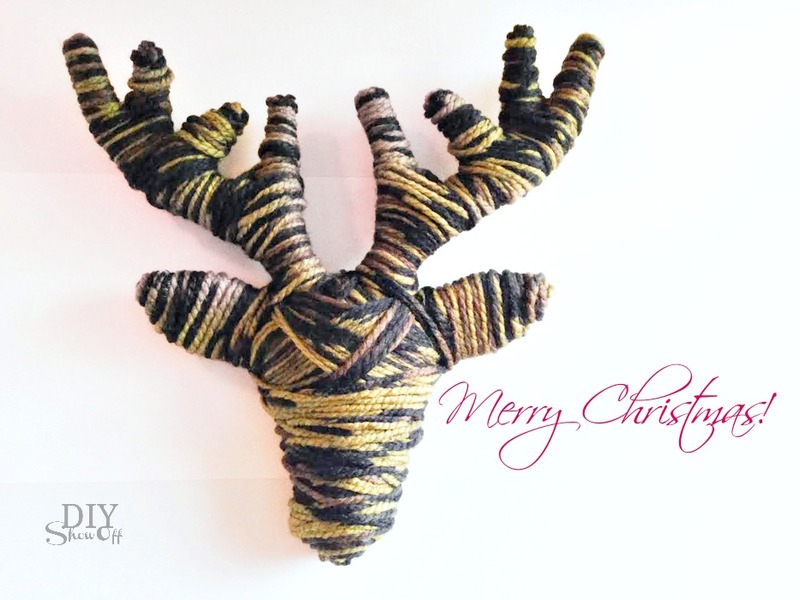 I love this blog hop and I’m off to see what everyone else made and received. Your pillow from Christy is fabulous too!!! The reindeer looks great! I love the color that you picked out as well. Great gift and love the pillow from Christy. This is too cool! I love this idea so much! 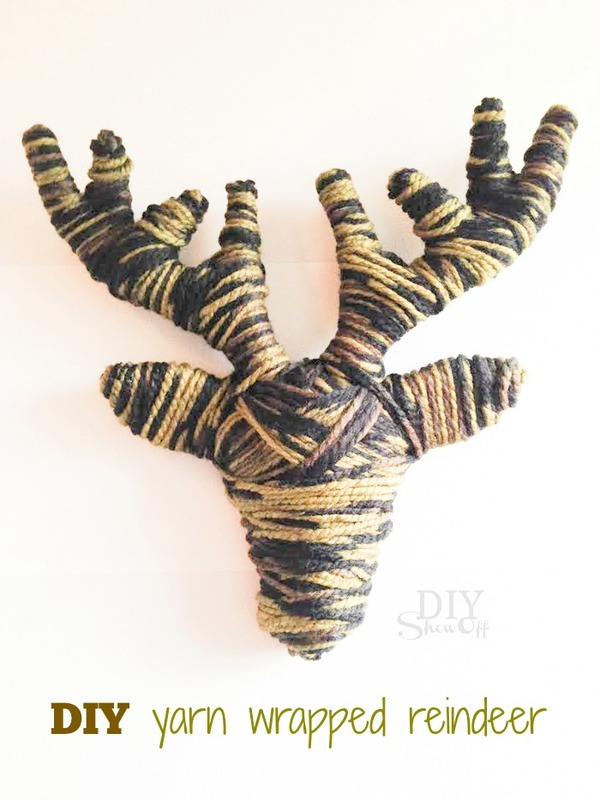 Plus, you can personalize it to your decor by picking the color yarn! I kind of want to make a sparkly one! 🙂 Thanks so much for sharing! Such a creative idea for a gift! I love it & you’re so right, it will look awesome in Dria’s home. So glad you joined us on the tour! Happy Holidays!